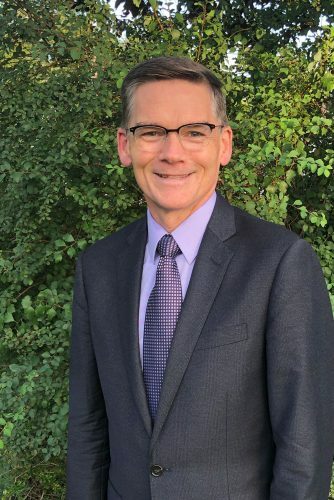 WILMORE, Ky. – Asbury University President Sandra C. Gray announced Thursday that Dr. Timothy Wooster, currently serving as provost and chief executive officer of Eastern Nazarene College, will assume the role of provost at Asbury, beginning Jan. 1, 2019. With deep roots in the Wesleyan-Holiness tradition, Wooster brings a breadth of experience, deep understanding and passion for Christian higher education. As provost, Wooster will serve as Asbury’s senior academic officer with responsibility to oversee curriculum, manage budgets, foster innovation and support faculty. He will serve a critical role in Asbury’s continuing commitment to academic excellence. With skill in higher education as an educator and administrator, Wooster is well-positioned for this role. Wooster completed his undergraduate degree in chemistry and his Ph.D. in analytical chemistry. His teaching career includes work as a chemistry professor and research consultant. His administrative experience is broad, with titles including honors program director, director of institutional research and retention, associate dean for academic affairs, vice president for enrollment and institutional research, academic dean, provost, chief operating officer and chief executive officer. Wooster met Gray through Dr. William Crothers, who served as president of Asbury from 2006-07. During Wooster’s initial conversations with Gray, he recognized the value of her exemplary leadership and fervency for the institution she leads. Wooster felt God’s clear leading in this transition, and he looks forward to engaging with the Asbury community. Wooster and his wife, Elizabeth, have two children (Luke and Ruth) who recently graduated from college.